Smack bang in the middle of Reigate and Redhill, this pub on Hatchlands Road is a classic and traditional public house in almost every way. It dates back to the 17th century when it was part of a former workhouse with a hayloft for horses, and retains much of its original character. 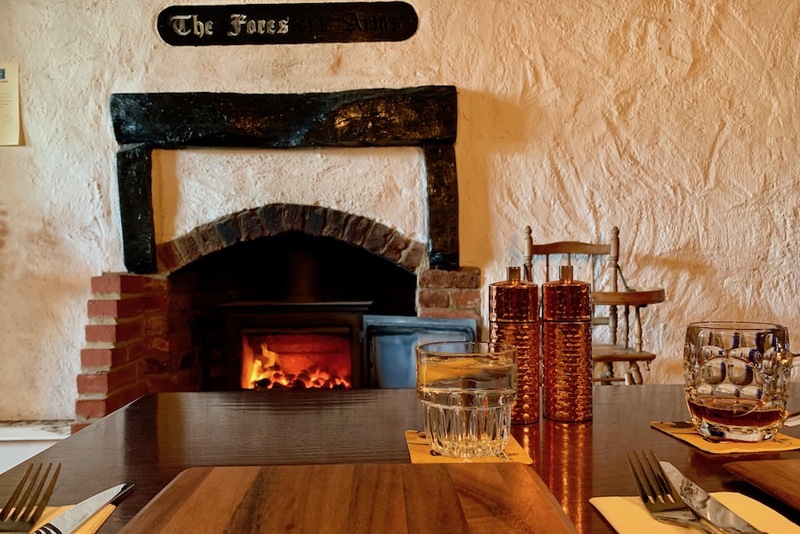 Originally called The Forresters Arms – the name is inscribed on a beam above one of the original fireplaces – it became known as The Hatch in the early Nineties. It’s had a bit of a chequered history, but a new landlord moved in just over a year ago and it’s been on the up ever since. 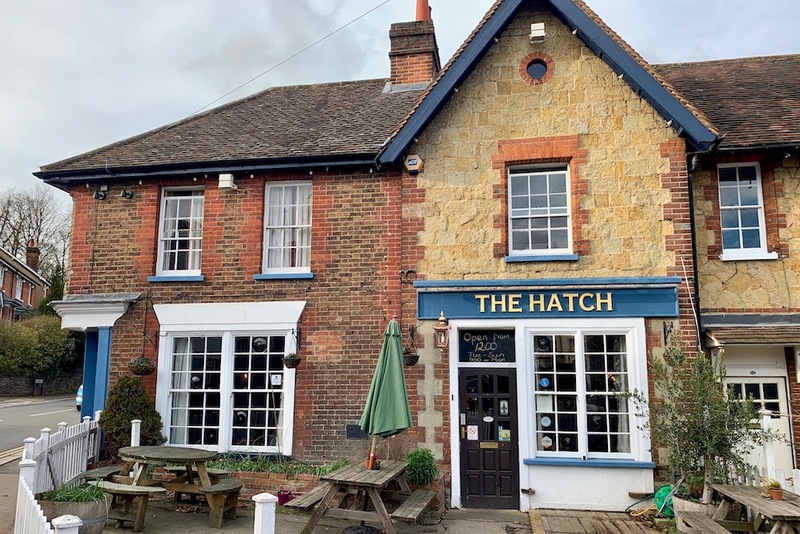 The Hatch is a friendly neighbourhood pub – it feels cosy and unpretentious like the best locals do. 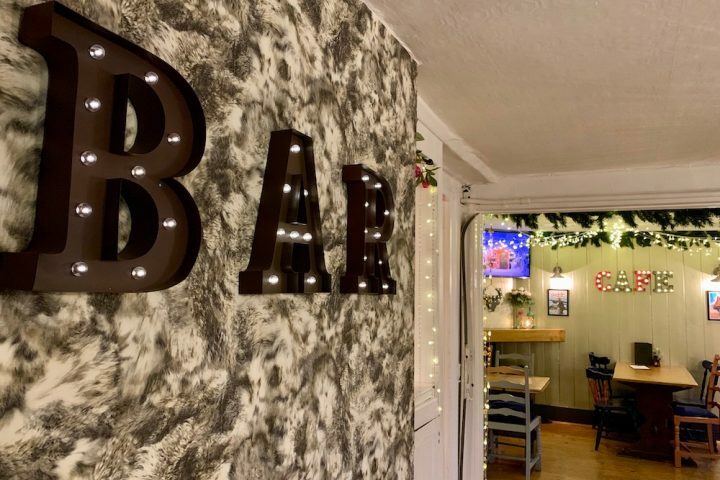 It’s the kind of place you’d pop into if you fancy a quick drink, or if you can’t be bothered cooking but want wholesome and good quality grub. 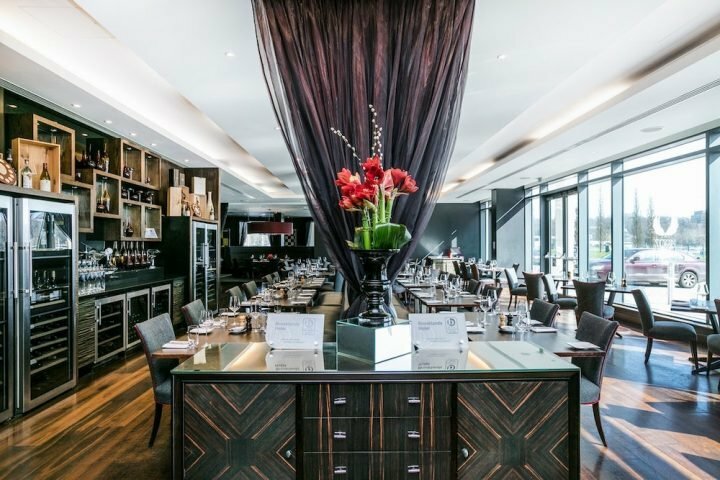 The recent refurb saw the replacement of sticky swirly dark carpets with a light checked pattern carpets and exposed timber flooring creating a warm, earthy vibe without losing the traditional feel. 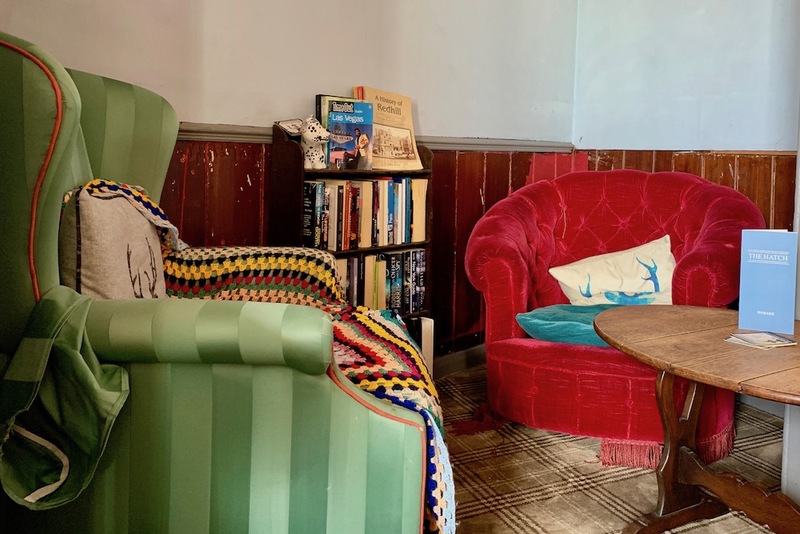 Add to the the mix-and-match furniture adorned with cushions and throws and the place has a rare cosy and homely feel. The pub is set out in an L-shape, with a small nook just to the left of the bar which leads through to another small dining room and out to a patio dining area. The food, like the pub itself, is unpretentious and homespun with a mix of traditional pub classics and seasonal dishes that change monthly. Everything is cooked fresh, delivered in generous portions with flair, and good value. I went with Mr Muddy on a Friday for lunch, nabbing a cosy table for two in front of the fire. It was fairly quiet when we arrived at noon, and while not packed to the rafters when we left a couple of hours later, it was certainly busier. 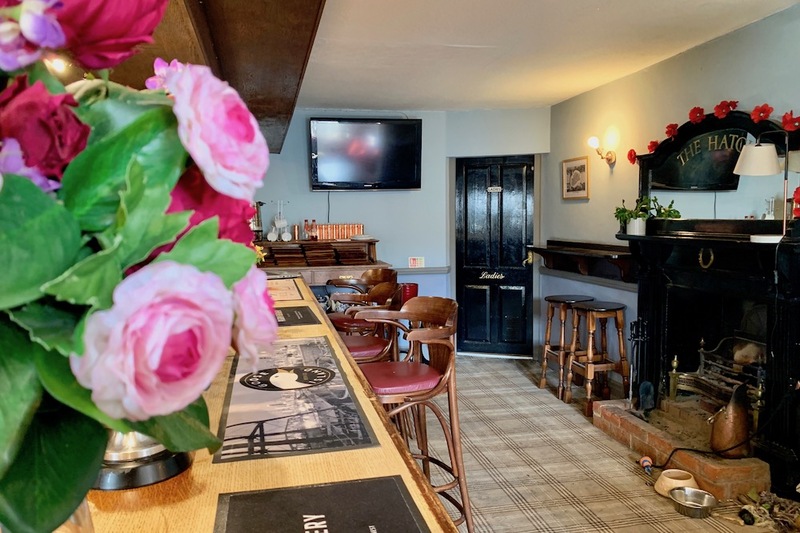 There’s a decent wine list – and good selection of ales both local and from further afield – Mr Muddy sampled the Redgate Ale made especially for The Hatch by The Godstone Brewers – and was very impressed. Unusually for me, I stuck to water. I started with the Smoked mackerel & horseradish pâté with red onion marmalade and melba toast (£5.75) followed by the chilli, lime and prawn tagliatelle (£12.75). Both were delicious and filling (and very good value). Mr Muddy started with Arancini topped with a tomato and herb salsa, and followed it with a traditional Redgate-battered fillet of haddock and chips which comes with peas and homemade tartare. 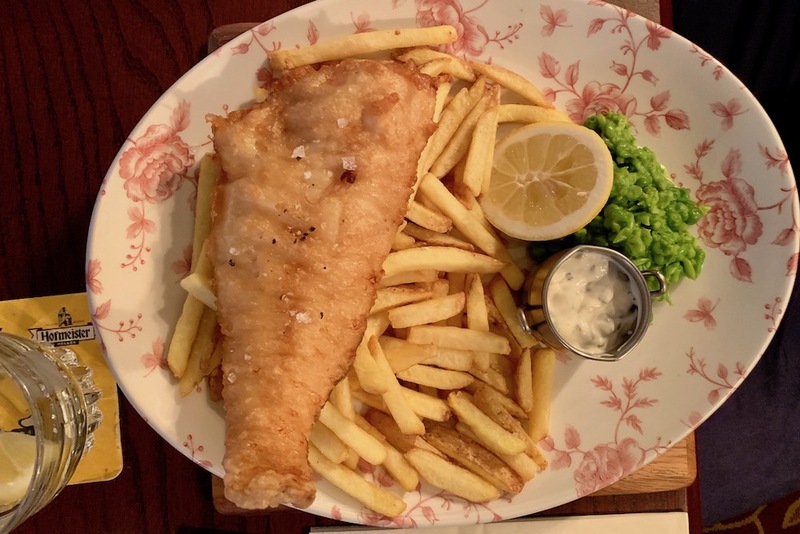 I’m a fuss-pot when it comes to battered fish – on the face it such an easy dish, but in reality so easy to get wrong – and at The Hatch it was perfectly cooked. Pudding? 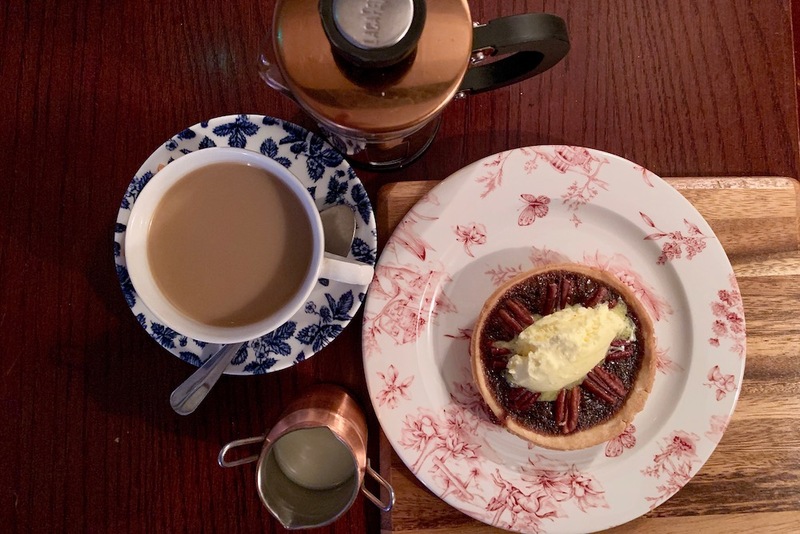 Why not, despite the fact I was stuffed to the gills, shared a pecan tart with Mr M. No complaints here – it was scrummy. But I did have to roll myself home! Yep, it’s relaxed and friendly. And on Sunday they do kid-sized roast dinners. They’ll also be opening for weekend brunch quite soon too. Watch this space! 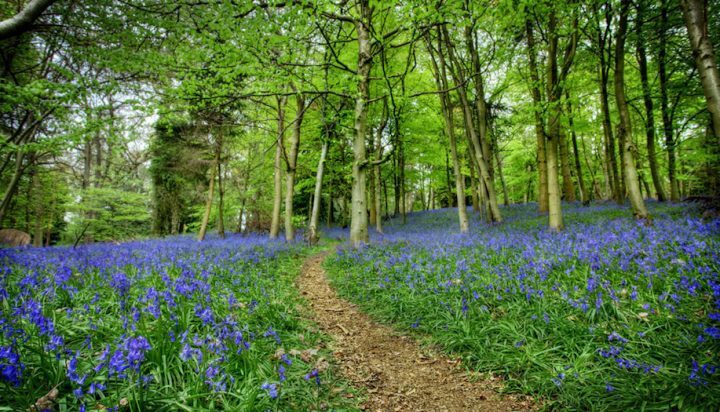 Reigate is a great market town for a wander and a window shop, and of course there’s always Priory Park with it’s brilliant kids play area, woods and lake. Good for: Sunday lunchers on a day out, relaxed groups, those looking for good value quality food. Not for: Those looking for fine dining, formality or quirkiness. This is an honest, traditional pub using quality ingredients. The damage: Starters £5-£6; mains £11-£18, smaller plates £7-£9, sandwiches £6-£9, puddings £5-£6. Excellent food and the wine list has to be seen to be believed! 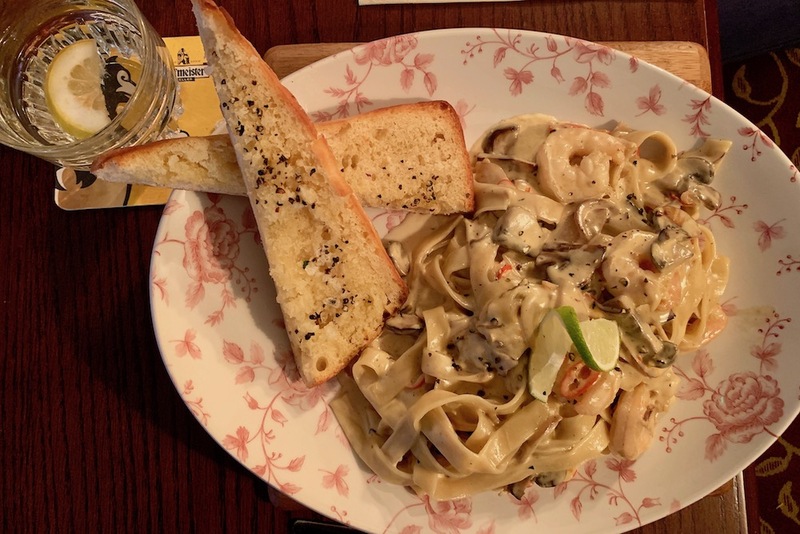 I’d definitely describe this as homely rather than smart, but the food was good with generous portions, and the staff were welcoming. As we were a family party including a toddler and a baby, I asked for a table in the more private room at the back. This worked fine for our needs as we (hopefully) didn’t disturb other people, but it might not suit everyone as it felt very like a furniture store! There’s no car park but quite a lot of parking on the adjacent roads. You do have to cross the A25 to get back to the pub though and cars come through quite fast so care is needed.